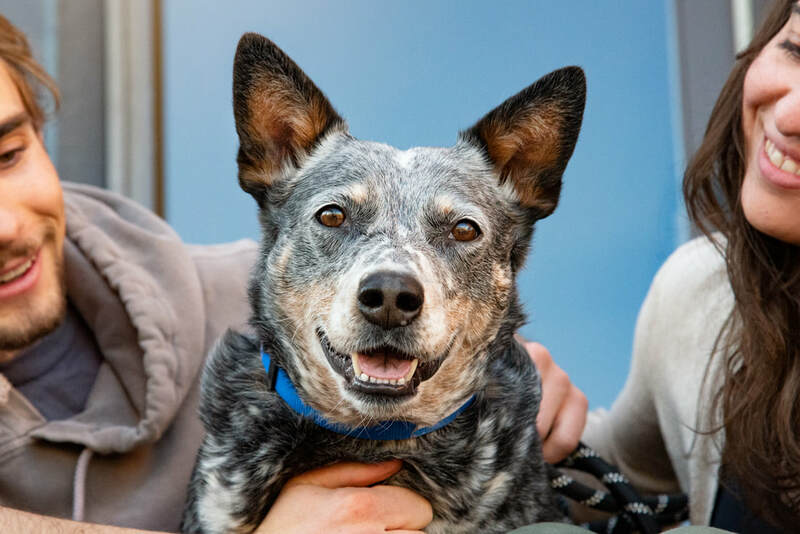 This elegant, spunky girl is Blue, a gorgeous blue heeler, looking for her forever home! Blue is 5 years old and weighs about 50 lbs. She’s the perfect size for adventuring. Blue can be trusted in the home and is house and crate trained, too! Her foster parents love how calm she is in the home and curious and fun on walks. Blue loves games and playing with toys. Blue is full vetted, including being spayed, up to date on shots and microchipped. She is heartworm negative, too! "Blue is a total sweetheart! She loves walks and does not pull on the leash (unless there's a squirrel or goose, but she stops once the leash is taut). She's also happy to curl up and snuggle. So far, she's fairly low energy, but this may be due to adjusting to the altitude. She LOVES being with her people. She follows us from room to room, but isn't overly needy. She loves belly rubs. Her favorite toys are ropes for tug-of-war and sticks. She doesn't fetch. Her former foster mama reported that she loves the water, but we haven't brought her to a pond yet. She's housetrained!" For more info and/or to apply to adopt Blue, go to the top toolbar, click Adopt, click Dog Application; then fill it out and send it in. A volunteer from Summit Dog Rescue will get back to you as soon as they can.